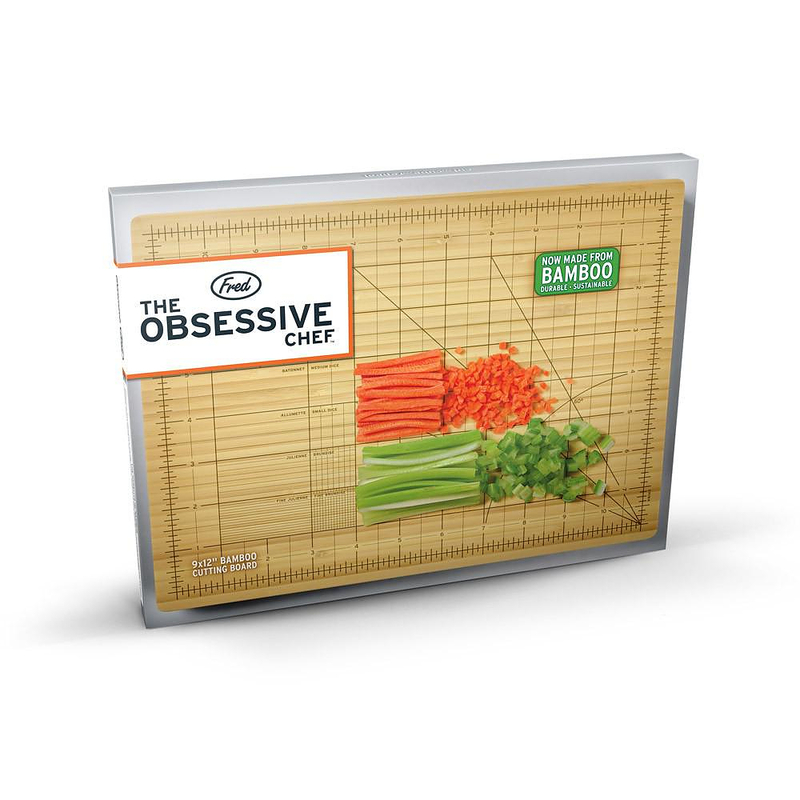 HomeBlogHome DecorTHE OBSESSIVE CHEF Cutting Board. 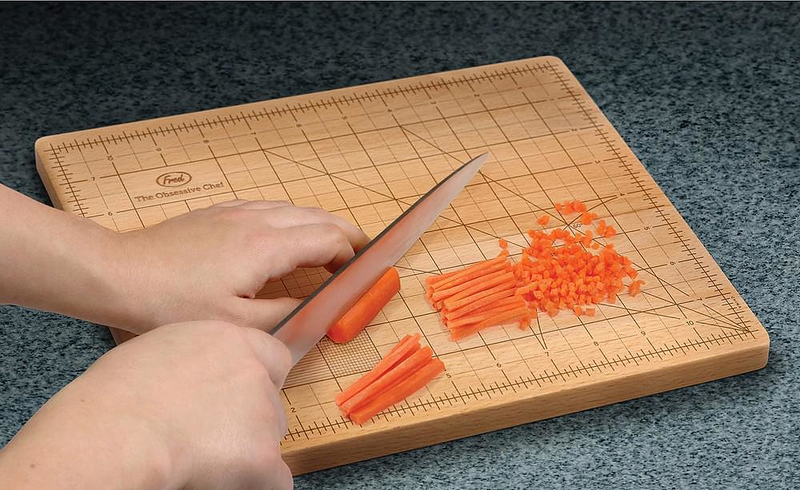 This cutting board by “Fred and Friends” is designed to help you perform perfects cutting, carving or slicing with extreme accuracy. 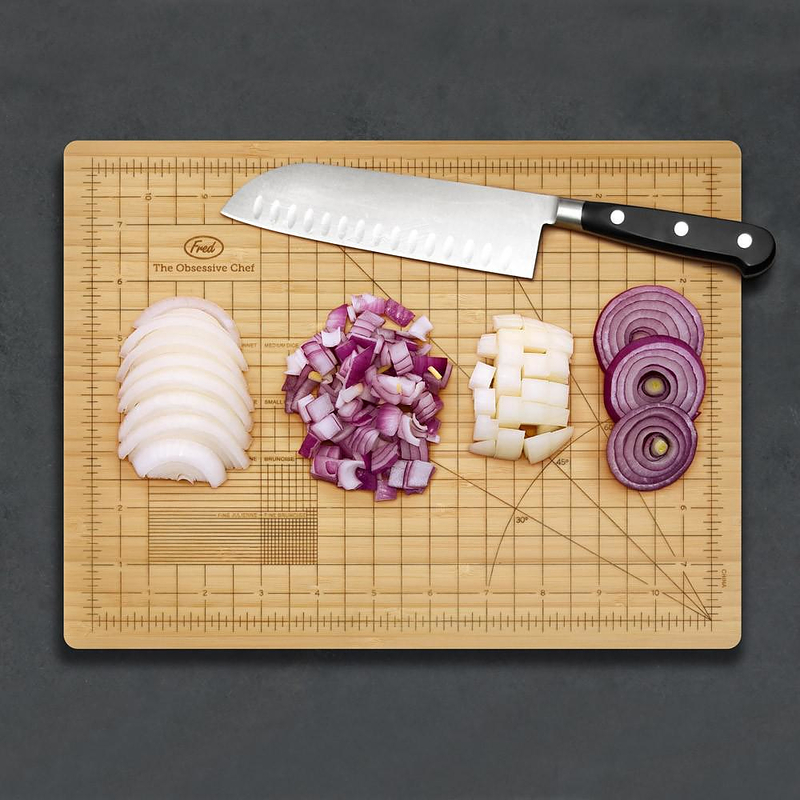 It is made of sustainable bamboo and features the precise measurements for those seeking cutting excellence. 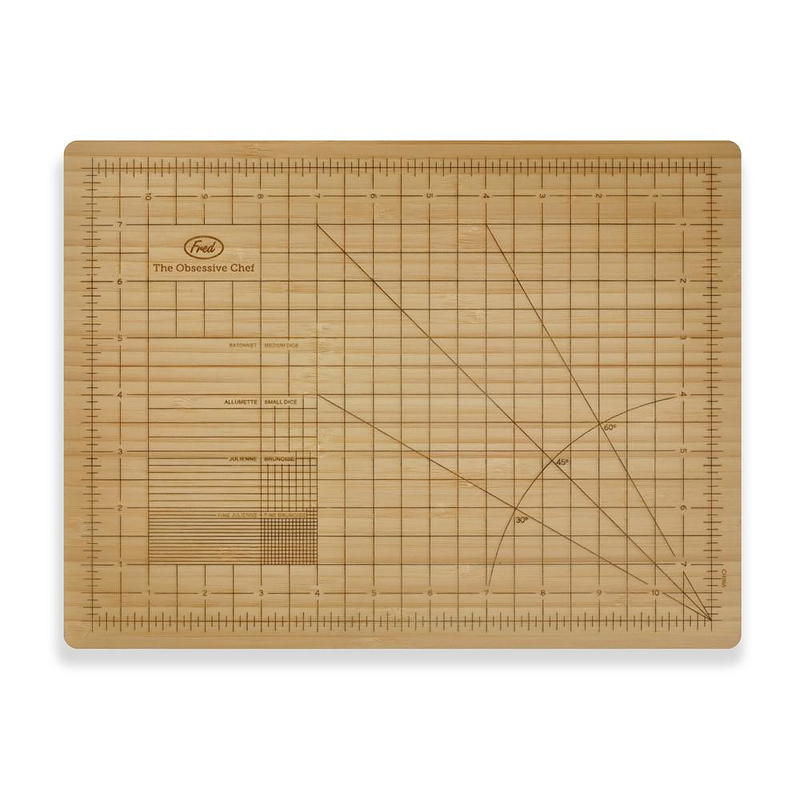 A multitude of guide lines a different grid sizes and angles ensure your cuts are precise. Lines are burnished in rather than printed, so they won’t wear off. 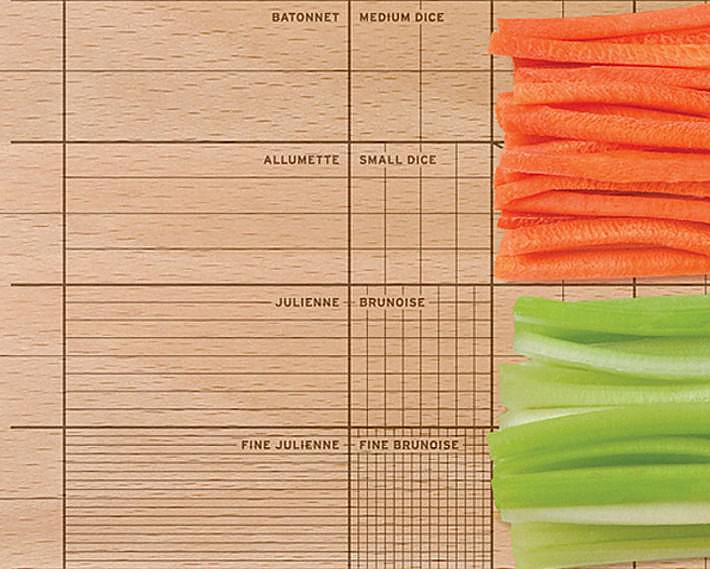 This board features guides for medium dice, small dice, brunoise, fine brunoise, batonnet, allumette, julienne, and fine julienne. You can now chop and cut all your cooking ingredients with incomparable accuracy, while happily obsessing over the task at hand!